The accident statistics for the forestry industry reveal that around 25% of accidents are the result of falls when timber harvesting, putting it second in the ranking. Back in 1990, Gunther Salow commented in his work entitled “Creating a check list for the circumstances of accidents in motor-manual timber harvesting” that a significant proportion of accidents can be attributed to face protection, such as mesh visors, because they can obstruct vision and reduce light by up to 50%. 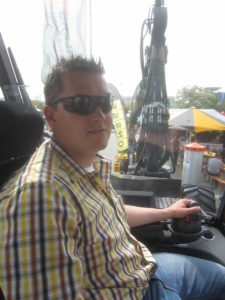 The eyes are crucial for machine operators and supervisors in operational decision-making and quality control, while also being the sensory organ placed under the greatest pressure in the highly mechanised field of wood harvesting. Machine operators may find that the demands placed on them could be exacerbated by challenging weather conditions or the time of the day, resulting in fatigue and human error. They would therefore be well advised to protect themselves with suitable safety eyewear, which in turn would help ease the strain on their eyes. Comprehensive studies conducted by HAWK University of Applied Sciences and Arts, Göttingen, Resource Management Faculty, recommend that protective eyewear should be the principle focus of face protection: safety eyewear with special lens tinting can make all the difference. Based on the maximum spectral sensitivity of the human eye being at a wavelength of 555 nm (visible yellow light has a wavelength of between 550 nm and 590 nm), there are many excellent eyewear models with tinted lenses available. 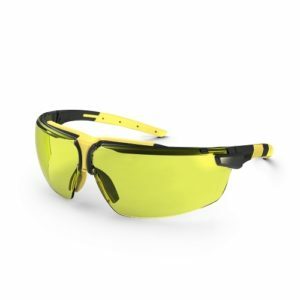 Safety spectacles with amber tinting (yellow lenses) enhance vision in low-light conditions, improve contrast and depth perception. It is essential that 100% UV protection up to 400 nm is always guaranteed, which is the case for all uvex polycarbonate lenses. These spectacles are non-fogging (permanent up to extreme anti-fog) and scratch-resistant. Our experience in forestry leads us to recommend the use of amber-tinted safety spectacles on misty, overcast days when light conditions are far from ideal. Especially in brushcutter work, eyewear should have a frame that provides added stability and fulfil the shot test requirement up to 45 m/s in accordance with the standard. The challenge of combating the effects of bright light, glare and/or intense sunshine, which may, for example, arise during work in open spaces or operating machines, is also interesting. uvex offers brown-tinted lenses for this. In terms of colourimetry, a colour is perceived as brown when warm colours such as yellow, orange or red are mixed with black. These lenses put less strain on the eyes in high light intensity and enhance contrast to significantly improve depth perception for seeing objects. Full signal colour recognition is guaranteed. 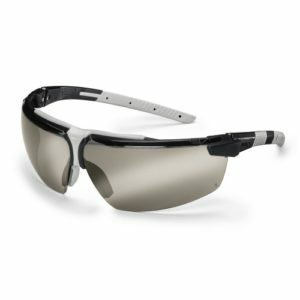 Safety spectacles with grey tinting reduce the light transmission to different levels. In combination with mirroring (for example, silverlight mirror) distracting light reflections and glare can be significantly reduced. This results in vision being less strained and spatial perception being improved. Last but not least, there are also varioususeful accessoriesfor eyewear. Eyewear straps are popular as they prevent the spectacles slipping and being lost, when climbing in treetops, for example. Storage in a case or microfibre bag is also recommended to protect the lens surface, while care sprays and lens wipes also help in looking after eyewear. 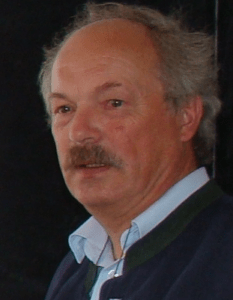 Professor Dr Friedbert Bombosch is a lecturer in forestry work, forest development and business management at the University of Applied Sciences and Arts, Hildesheim-Holzminden-Göttingen – Resource Management Faculty. 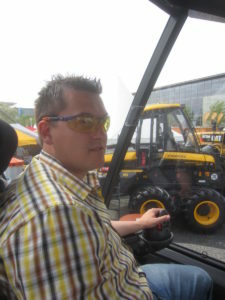 He is an expert in the field of forestry occupational safety as well as specialising in ergonomics and eye protection.